Does what you eat affect your picking? Absolutely. Perhaps you have noticed this although, more likely, it may not be something that has ever occurred to you. Just as you can be under mental and emotional stress, and physical stress from not sleeping or exercising enough (or too much), you can also experience physical stress based on what you eat (and don’t eat). Are you getting enough… food? For some of my clients, simply adding breakfast if they were not in the habit of eating it, or a real lunch instead of a carbohydrate snack, made a huge difference, even reducing the picking they did in the evening. Stable blood sugar is incredibly important. Low blood sugar can be a picking trigger, so eating regular substantial meals is the way to go. Protein and fat in the meal is a must to keep the blood sugar stable and hold you until the next meal. 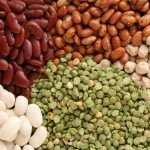 Are you getting enough… protein? Neurotransmitters, the chemical messengers of our nervous system, are made from amino acids, the building blocks of proteins. Problems with depression, anxiety and compulsive behavior like skin picking can result from a state of amino acid deficiency. So, eat some protein at each meal. Although beyond the scope of this article, you may also need amino acid supplements, if you are in a state of deficiency and don’t have enough of any or all the different types of neurotransmitters needed for good mental health. Are you getting enough… good fat? Fat is a crucial nutrient that has gotten an undeserved bad reputation. Although it has been exonerated by medical science, unfortunately the rep still lingers. While even saturated fat and cholesterol are not the villains they were thought to be, what we really need are more omega-3 fats. They are anti-inflammatory all over the body and are thus important for preventing all the top modern diseases. They are crucial to the functioning of our brain, which is around 60% fat. Unfortunately, we get too much omega-6 fat through processed food, vegetable oil, and factory farmed meats, which have predominantly omega-6 fat as a result of being fed grains rather than their natural diet, grasses. A high ratio of omega-6 to omega-3 is correlated with depression, and in fact, adding omega-3 fats to the diet has been shown to have a positive impact on depression, bipolar disorder, ADD, schizophrenia and Alzheimer’s. Omega-3s also help reduce acne, due to their anti-inflammatory nature, so if acne is a major cause of your picking, all the more reason to prioritize them. The best source of omega-3 naturally is fatty cold-water fish, particularly wild-caught salmon, sardines, anchovies, herring and mackerel. Flaxseed oil can work for some of us, although genetically only one-third of us can convert the omega 3 in flax oil to a useable form for our brain. Algae oil is a better option for vegetarians. Grass-fed meat or chicken eggs are also good sources. Are you getting enough… vegetables and fruits? A recent large-scale study found that people’s happiness and mental health increased the more servings of vegetables and fruits they ate per day (leveling off at seven servings). Since chances are you pick worse when you are feeling down, anxious or stressed, more veggies should definitely be on your to-eat list. Take a good look at your diet. If you eat bread or cereal for breakfast, a sandwich and chips for lunch, and pasta for dinner, you are getting a) way too many grain-based carbohydrates, b) not enough protein and c) not enough vegetables. It is a mood (and picking) disaster. Are you getting enough… water? We are never at our best when we are dehydrated. Water is like “brain juice”, and without it we can feel sluggish and experience “brain fog”. It can pep you up but also calm you down, and we need more water under stressful conditions. Our water requirements vary based on stress, how much we sweat, whether we drink caffeinated beverages or alcohol, and the nature of the food we eat, but the often recommended 8 glasses a day is probably a good general guideline. This is the number one dietary recommendation to reduce skin picking because it is SO effective. 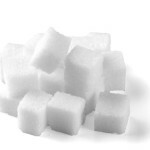 Besides being terrible for our health overall, in that it is a major contributor to the general inflammation underlying all of our top diseases, sugar is also a huge contributor to skin picking. I have seen it in myself and in nearly all my clients, and even certain strains of lab mice engage in “barbering” behaviors, similar to skin picking, when they are fed sugar solutions. Alcohol has a similar effect as sugar, plus the added “bonus” (if we drink to excess) of un-inhibiting our judgment and actions. The result is that, even at other times when you would be able to resist picking, under the influence or the after-effects of alcohol, you may do worse damage to your skin than usual. A lot of us are hooked on the coffee. I’m not saying you necessarily have to stay away from food and drinks with caffeine, but I suggest that you try going without to see if it does affect your picking. 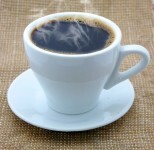 Stimulants like caffeine frequently do cause people to pick more, so test it out. However, if you are eating some processed convenience foods, look at the ingredients. Stay away from artificial colors and flavors – don’t eat ingredients named with a color and a number. There is evidence that such dyes are harmful and contribute to ADHD and OCD. As skin picking is similar to OCD, I would not be surprised if they contribute to skin picking as well. Many people are unaware that they have a food intolerance, and such intolerances are incredibly common these days. I have helped several of my clients uncover intolerances to wheat and a couple to dairy as well. For some, their picking decreased significantly as a result of eliminating these foods from their diet. 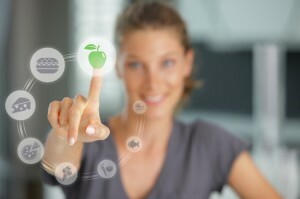 They experienced other benefits as well, like greater energy, weight loss and fewer headaches. Believe it or not, eating cold raw food, particularly when it’s cold outside, can contribute to anxiety, insomnia and… skin picking. So, no salads and smoothies, which may seem healthy, but are not healthy in winter. Soups and stews are where it’s at. Even warm fruit – hey, I think I’ll go bake some apples now. See you in the next article. Click here to read Can I Really Stop Picking and What Will It Take? p.s. Have you downloaded my free Freedom Kit? It comes with a written and audio report, “Why you pick your skin and how to finally stop,” a video on “how to stop skin picking urges in two minutes flat,” and my “Live Free” newsletter in your inbox each month. Click here to sign up. But then there was no conversation about this issue, anywhere. Theres something about dairy, the casein I think, which encourages depression and obsessive behaviour. Though I also suggest emotional trauma and the vicious cycle of isolation exacerbated by this condition. My wakeup call came after seeing a photo of a parrot that had pecked out all its feathers in captivity. It looked the weirdest, saddest, alien thing. The distance between a separate species and I, highlighted my plight as I realised none of us are immune from emotional distress, whether bird or human.